PETALING JAYA (July 14): A 700m building tentatively named Tower M will come up within the Kuala Lumpur City Centre development after 2030, dwarfing the 630m Menara PNB 118 which is slated for completion in 2024, reported The Edge Malaysia weekly. 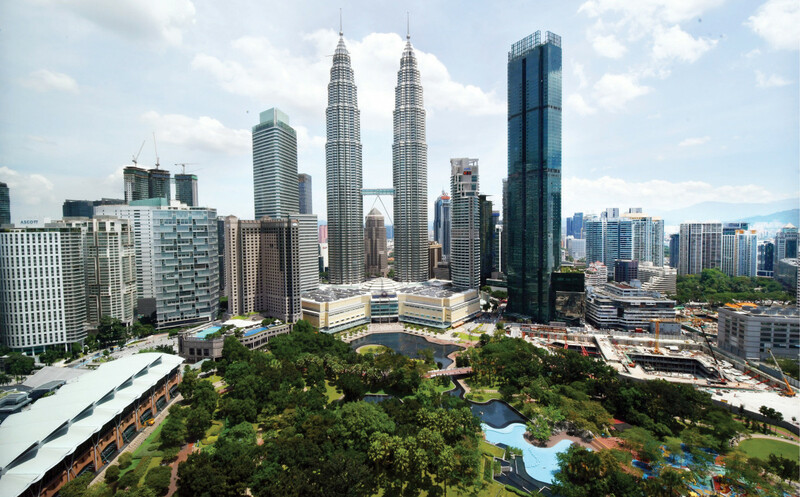 The new building will comprise three office towers on top of a retail podium and come up on four acres of land named Lots L, L1 and M next to the mass rapid transit (MRT) KLCC East Station near Jalan Binjai in Kuala Lumpur. Industry experts calculate that Tower M will have a GDV of between RM3.7 billion and RM4.2 billion, based on the 174,240 sq ft site, current prices psf of RM2,000 for office spaces in the vicinity and a potential plot ratio of 14 to 16. The skyscraper will be built by KLCC (Holdings) Sdn Bhd (KLCCH), the owner of Malaysia’s current tallest structures, the Petronas Twin Towers. While KLCCH has not mentioned how many floors the building will have, Tower M will reportedly have 145 floors, said the weekly. A spokesperson for KLCCH said works for the KLCC East Station have begun, and the developments on the four acres of land – comprising four basement levels of car parking, one concourse retail level and four retail podium levels as well as the foundations of the future office towers – are currently underway, in tandem with the construction of the station. KLCCH will only build these office towers upon pre-securing leases for the whole building “as KLCCH is not a speculative developer”, the spokesperson added. “In view of the current market speculation, it is envisaged that the towers will only be built in the distant future (beyond 2030),” they said. Zerin Properties CEO Previndran Singhe lauded Tower M as a far-sighted plan by KLCCH. “It is a fabulous idea. By 2030 to 2035, the city would have developed further. KLCC Holdings is looking ahead and will help make KL and Malaysia a commercial centre for Southeast Asia,” he said. Meanwhile, ExaStrata Solutions Sdn Bhd CEO and chief real estate consultant Adzman Shah Mohd Ariffin said with a further 16 million sq ft of office space coming in from the Tun Razak Exchange and other outlying areas, vacancy levels will drop only when demand improves. It will take about 15 to 16 years to fill up the existing and incoming stock based on current absorption levels of 1 million to 1.5 million sq ft per year. He estimated that Tower M will add to another three to four million sq ft of floor area to the market, and anticipates challenges arising from decentralisation driven by improving public transport. “The feasibility of a mega project such as Tower M may therefore need to take into account future market demand and supply in order to not end up as a white elephant,” he added. However, Zerin’s Previndran expected a “balanced and sustainable development” arising from Dewan Bandaraya Kuala Lumpur’s prudent policies.